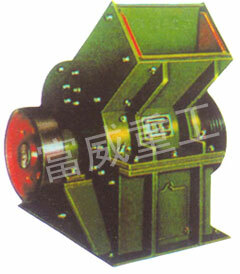 Hammer crusher is widely used in all kinds of fragile minerals such as coal, salt, plaster, alum, brick, tile, limestone etc. The compressive strength of those materials should not exceed 100MPa. And the humidity should not be more than 15%. Hammer crusher has characteristics of compact conformation, rational layout, simple installation, well maintainability, and easy operation, especially suitable for technical layout about cement production. It can save the room of technical layout. It has special structural feature, that is broken “big break than” and so on.